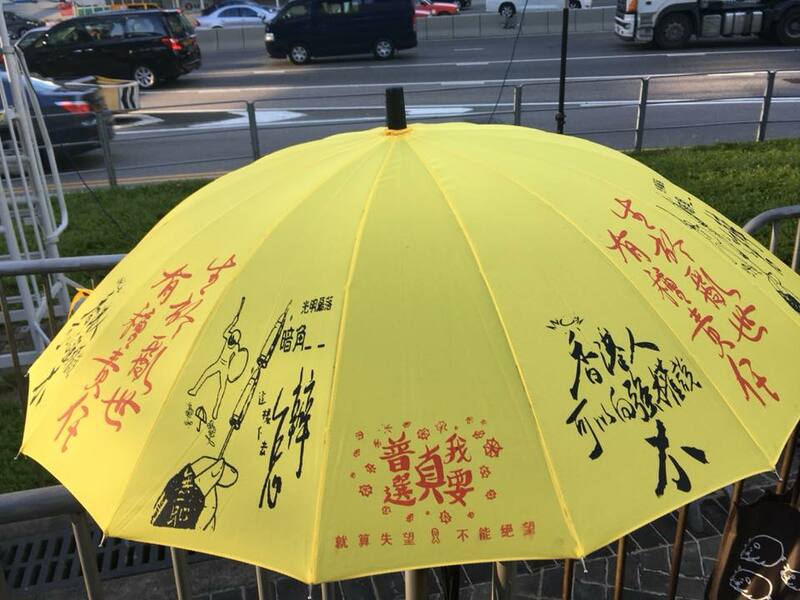 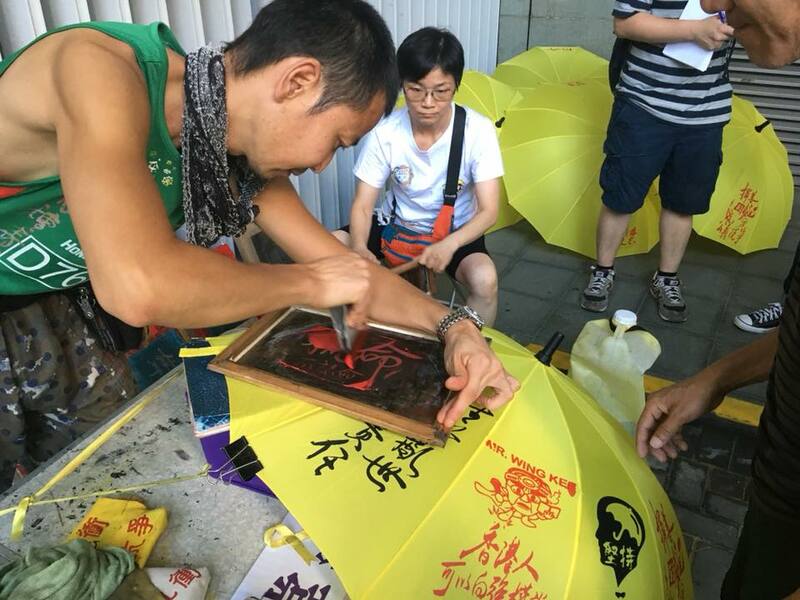 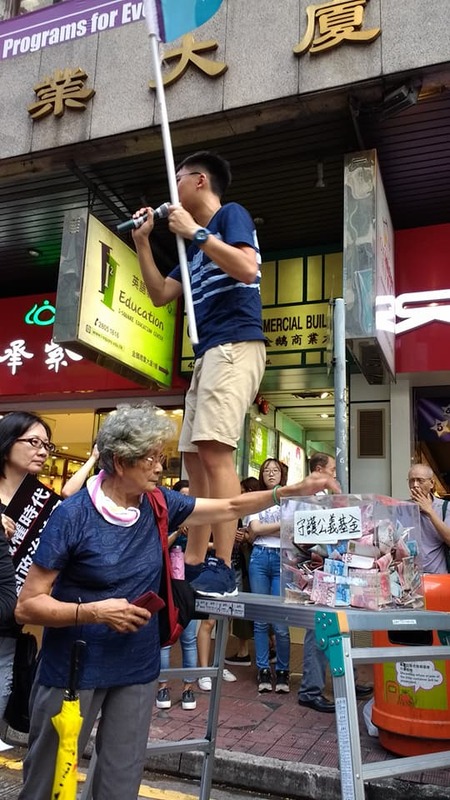 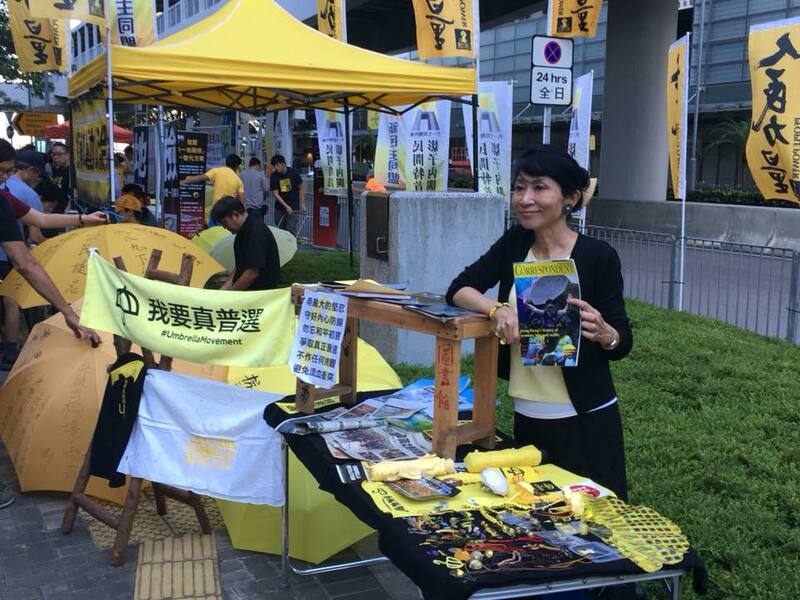 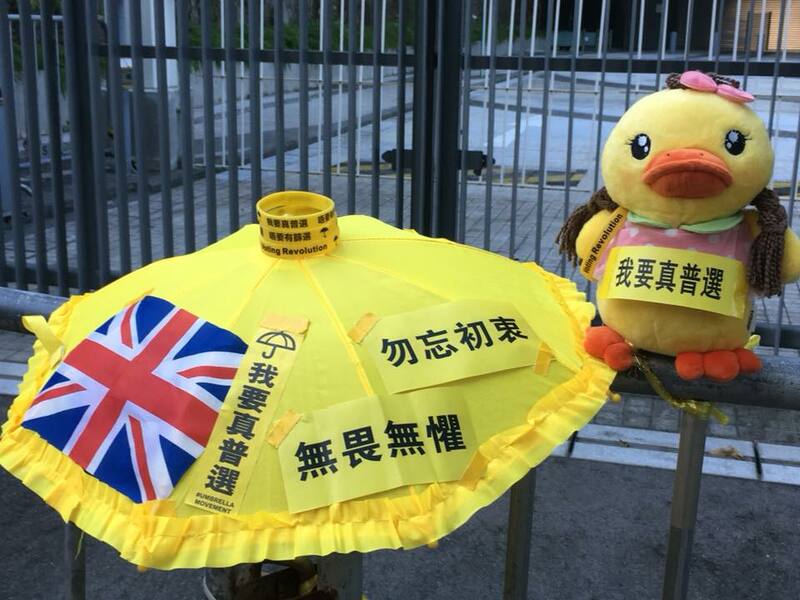 Civic groups in Hong Kong commemorate the third anniversary of the Umbrella Movement, which called for universal suffrage and an end to political interference from mainland China. 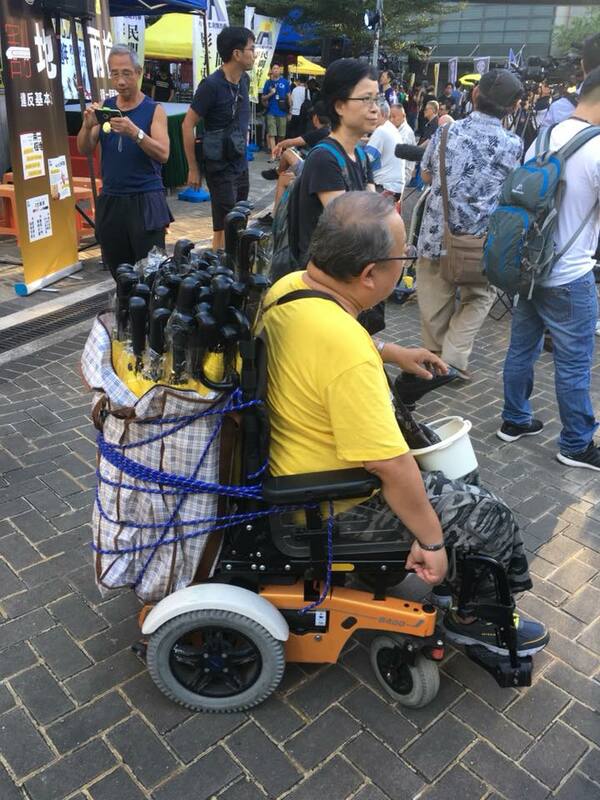 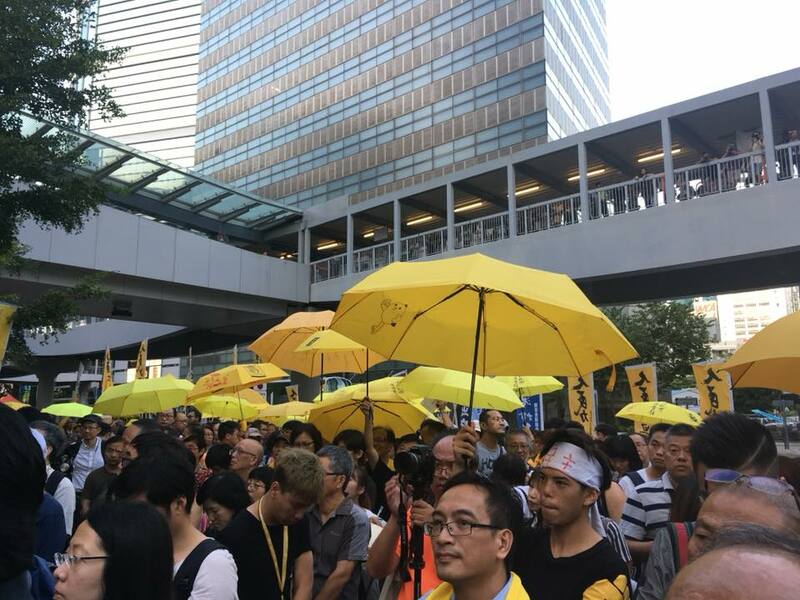 The tens of thousands of protestors who participated in the movement—which swelled to an estimated 180,000 at the peak—formed a sprawling occupy community in the Admiralty area on Hong Kong Island, near government offices, and in Mong Kok, in Kowloon. 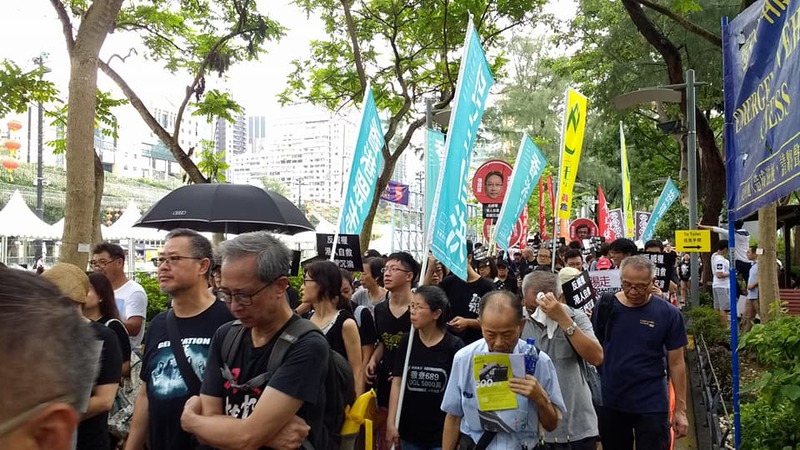 See more photos and videos on HRIC's Facebook page [Jump to: October 1st, 2017 protest]. 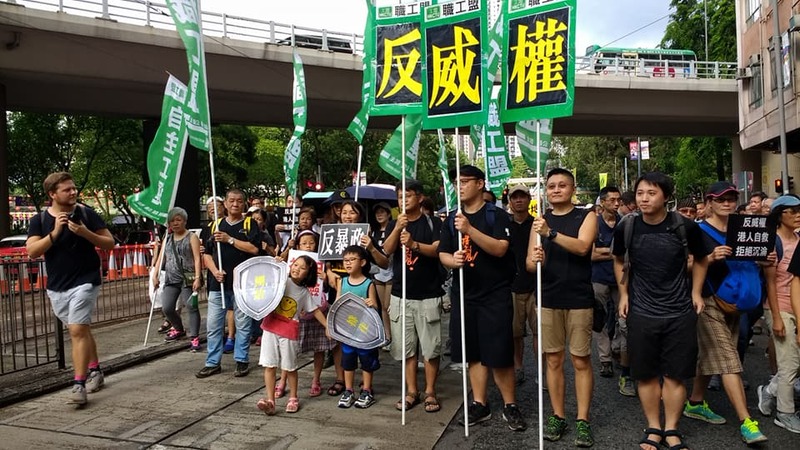 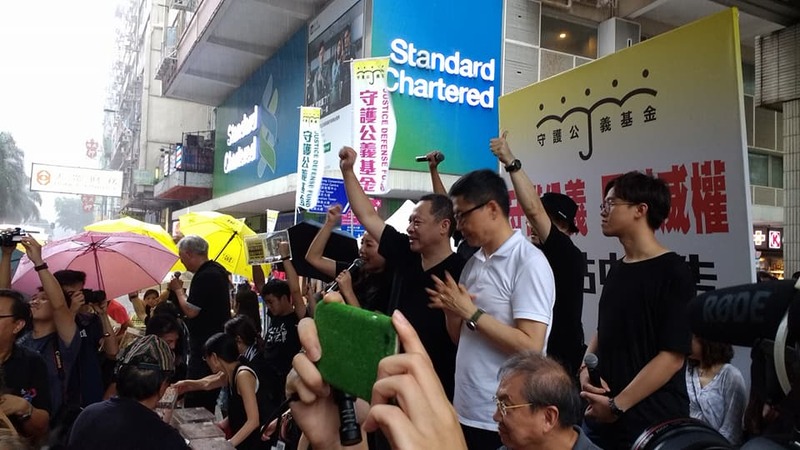 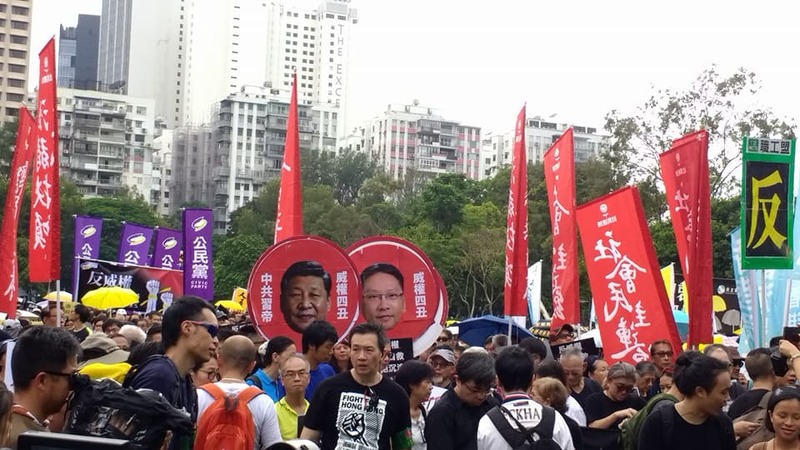 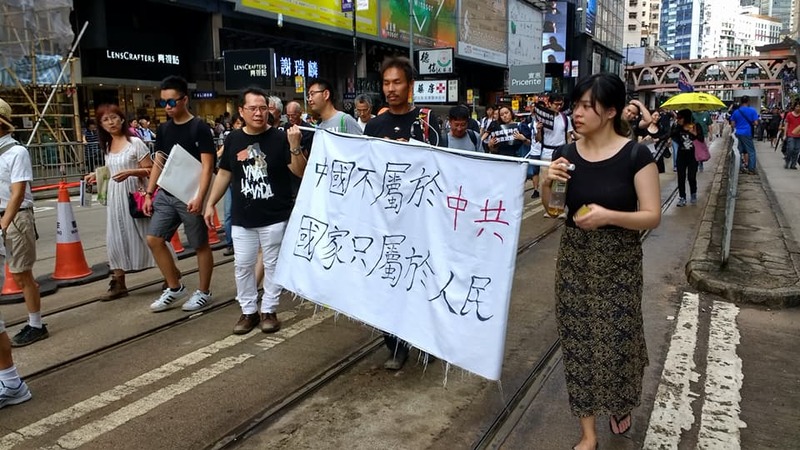 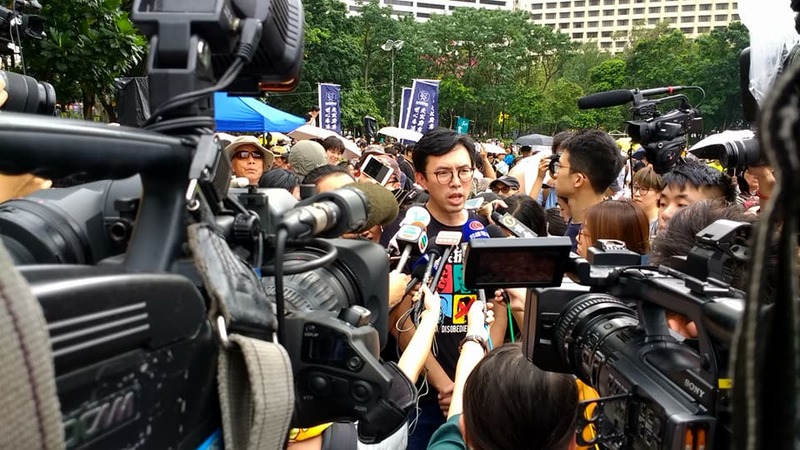 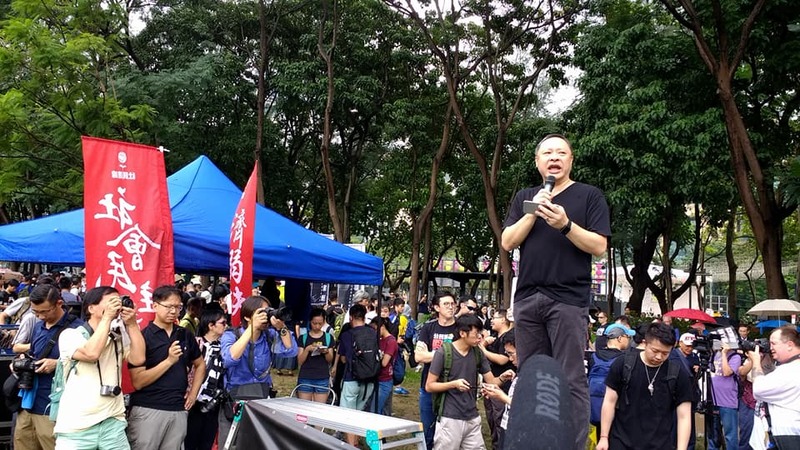 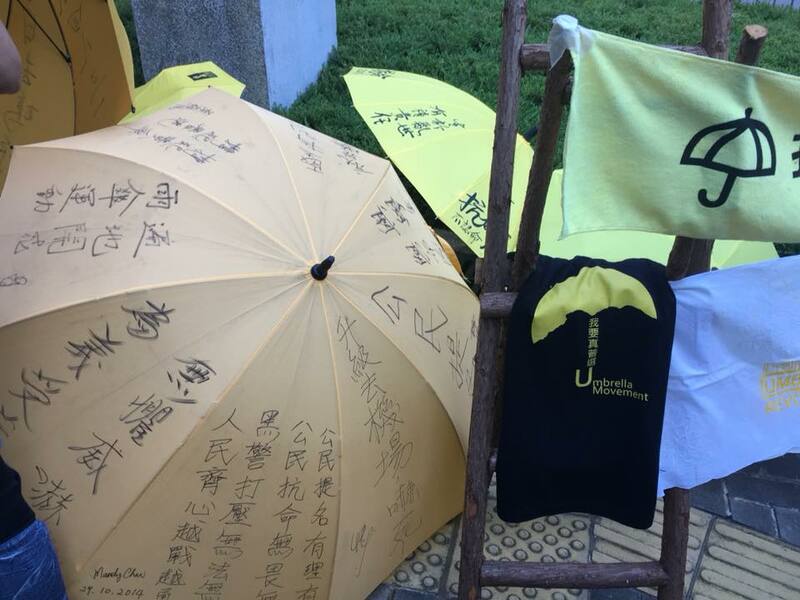 Tens of thousands braved heat and pouring rain to march against “authoritarian government” and demand that Justice Secretary Rimsky Yuen step down over the re-sentencing in August of three young democracy activists. 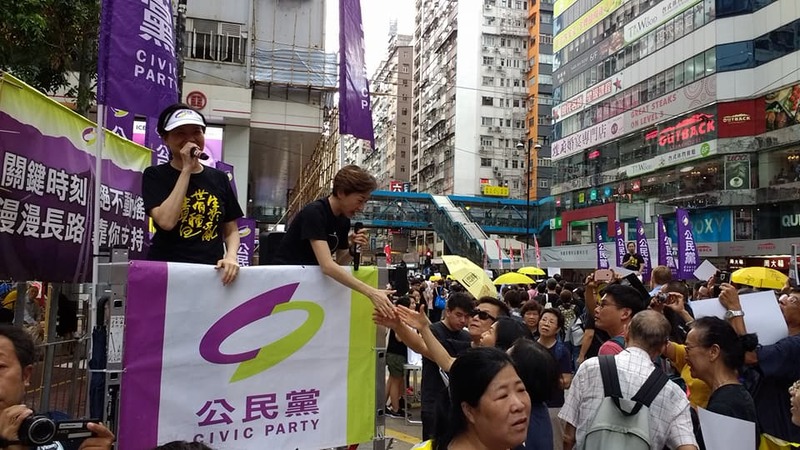 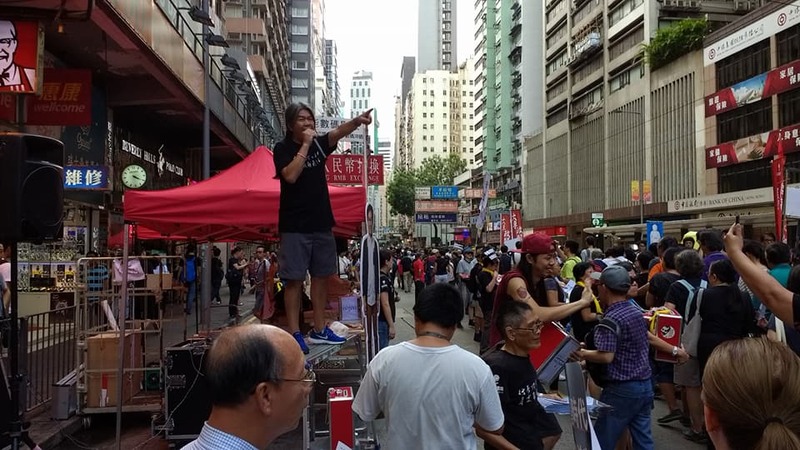 Hong Kong Civic groups reenact the use of tear gas by police on September 28, 2014 against peaceful protesters calling for universal suffrage and against political interference from mainland China.